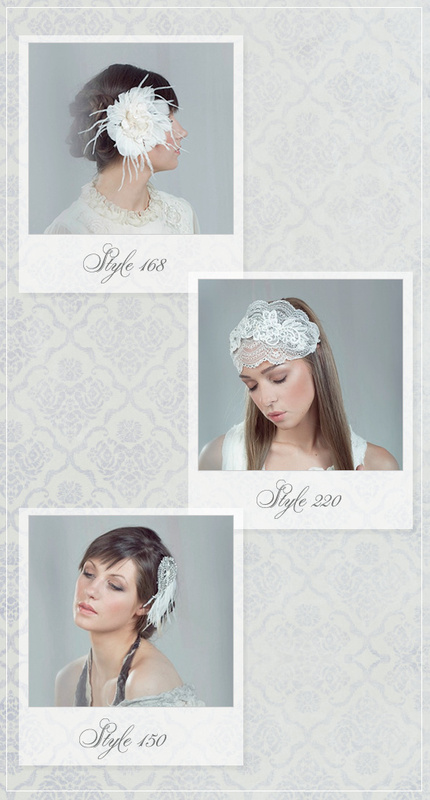 When it comes to wedding essentials for your wedding look, people are often divided on hair accessories. Our take is that you may not think you want something dazzling in your hair, but try it out and you may be pleasantly surprised on how amazing it looks. We adore a little glitz and glamor in the hair, and often feel it adds that little something something. Lucky for you ladies out there looking to try out a fascinator, Lavender By Jurgita is hosting a fabulous giveaway. One lucky reader will win a $400 gift certificate to Lavender By Jurgita's online store. Purchase anything your heart desires: possibly a crystal hair comb, mini blusher veil or some vintage inspired earrings. Read on to find out how to enter. 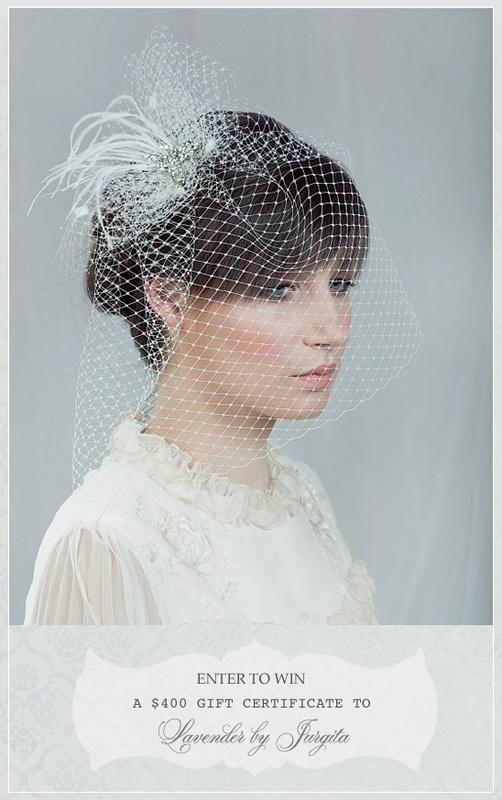 Lavender By Jurgita creates Bridal Veils, Feather Fascinators, Silk Flowers, Hair Combs and Jewelry with a Vintage Touch for brides-to-be! 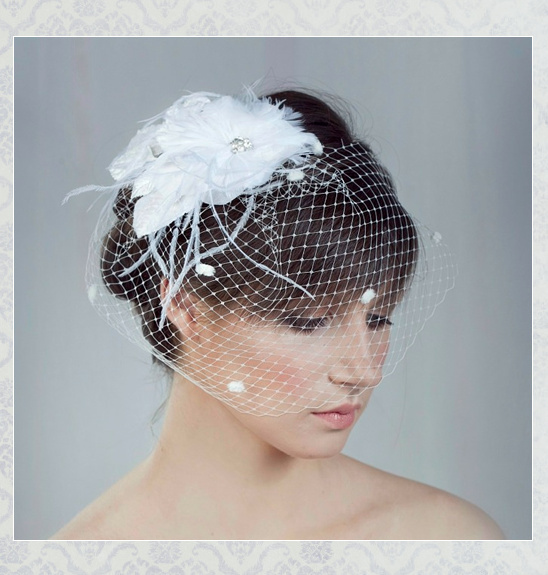 Our bridal and special occasion line includes in our studio handcrafted bridal adornments and accessories with a vintage touch for today’s modern vintage look. We use just the finest high quality illusion tulle, French laces, silkiest feathers, crystal pieces, vintage velvet accents, natural silk and CRYSTALLIZED™ - Swarovski Elements. All pieces are made with attention to detail and an interest in fine craftsmanship. How To Win: Visit Lavender By Jurgita and share with us what you would love to have. Enter as often as you like. The winner will be chosen using random.org and will be announced this Friday March 16, 2012. The winner will have one week to claim the prize and if left unclaimed a new winner will be randomly selected.